Port Royal Plantation is renowned for fantastic water views from the eastern end of the Island between the Atlantic Ocean and Port Royal Sound. Accessible through the community – although not within its boundaries – is the Westin Hotel. Its temptations include a poolside bar, lounges with live entertainment and some of the Island’s finest dining offerings. 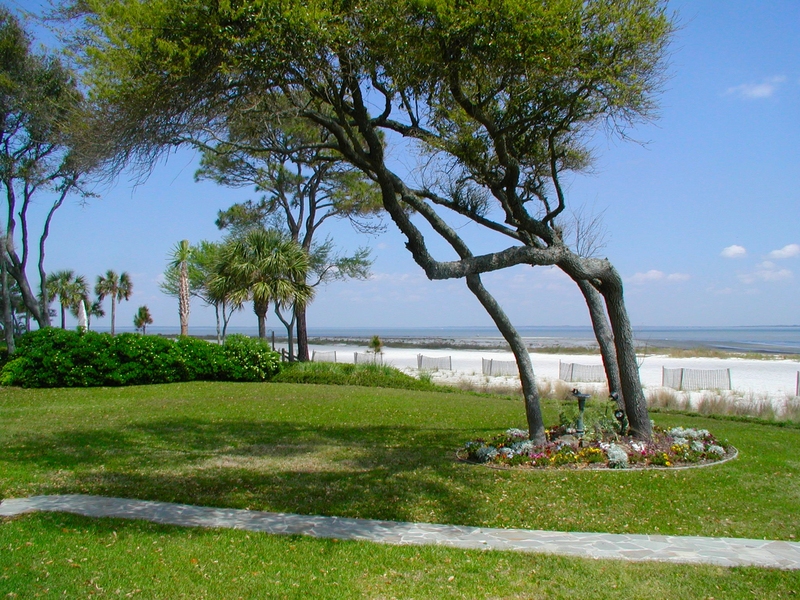 Port Royal Plantation real estate prices range from mid-level to upper tier based upon proximity to the beach. Port Royal is often considered as two communities – resort and residential – with a security gate at the entrance to the residential section separating property owners from resort guests. The amenities within are designed to protect the privacy of the property owners, while providing visitors with selective use. The plantation encompasses over 1,250 acres and more than 800 single-family homes with views of the golf course, deep woods or Port Royal Sound. On the visitor side of the gate, there are approximately 2,000 villas available for rent as well as the plantation’s resident resort, The Westin Resort. Tennis – The Port Royal Racquet Club features 16 courts and offers all three Grand Slam surfaces (grass, clay, and hard court). Four courts are private and eight are lighted. Tennis clinics are available. Swimming – The Resident’s club has an Olympic size pool and wading pool. Beach – 4 miles of beaches. Club Information – Tennis, Golf, Social, and Sports memberships available. The Port Royal Golf Club features three, 18-hole Golf Courses: Barony, Planter’s Row and Robber’s Row. On a rotating basis, one of the three remains private.